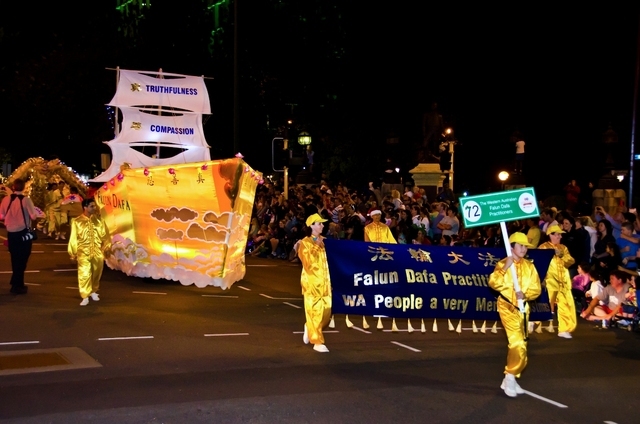 Falun Gong practitioners participated in the largest Christmas parade in Western Australia on December 15th, 2012. 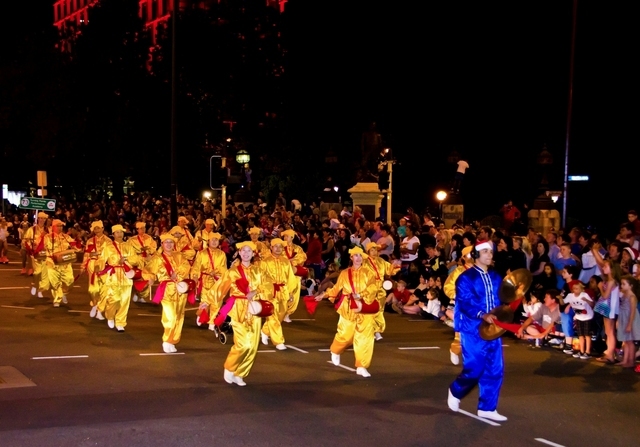 According to a local media report, 1 out of every 8 residents, or about 250,000 people in total, watched the Perth Christmas Parade on-site. 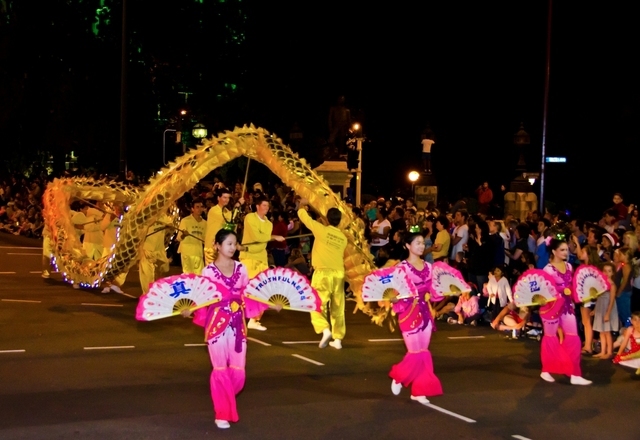 The Falun Gong procession had four components: a giant gold “Fa Boat” float, a dance troupe with traditional Chinese fans, a dragon dance troupe, and a waist drum team. The parade was broadcast live, with a TV replay on December 25th reaching about half of the population in Western Australia.